She’s a tall red head with ruby painted lips. She is loved by all who meet her. Men and boys stop and stare. Women wish they were in her shoes, and they marvel at her make up. She’s colorful, exciting, outgoing and she’s never met a stranger. No, she’s not some new starlet flirting her way to the top, she’s Boopsie The Clown, and she’s going to win your heart too! 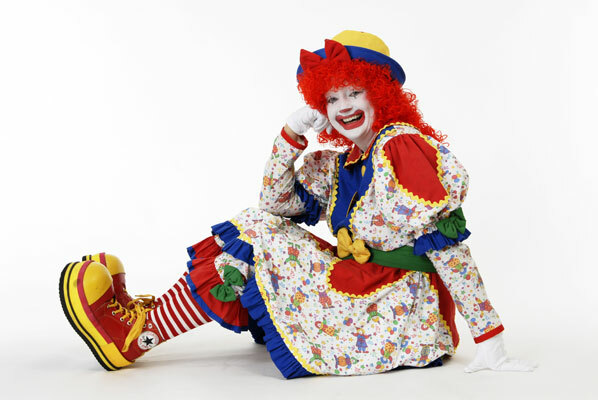 This clown has a wide variety of talents including Balloon Art, Face Painting, Puppets and Magic.